Guest post by Dr Angela Daly (Assistant Professor, Chinese University of Hong Kong Faculty of Law). 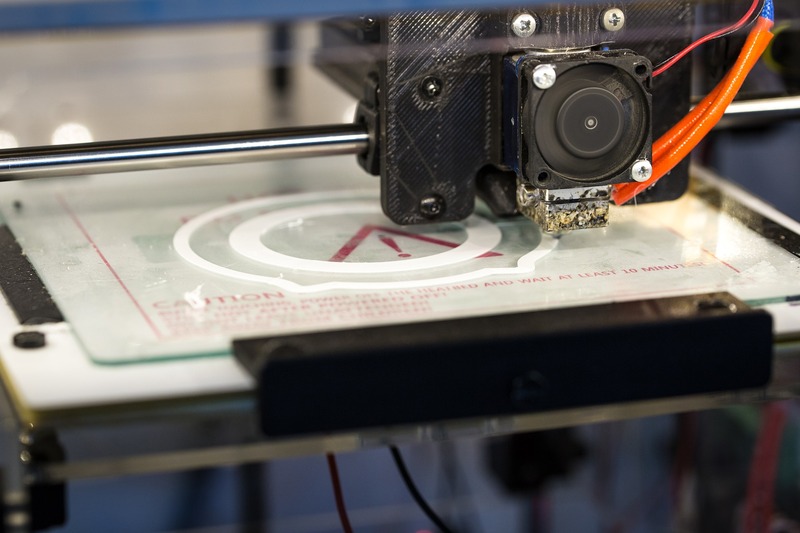 3D printing, also known as additive manufacturing, is a new emerging technology which has prompted significant debate and discussion regarding its social, economic and legal impact. From the emergence of 3D printed guns and the associated concerns regarding crime and terrorism, to the possibility of 3D printed food and houses, the implementations of this technology are wide ranging and have provoked both excitement and fear in equal measures. One major issue for 3D printing’s design, use and implementation so far is its relationship with intellectual property (IP) law. 3D printing is a decentralised technology, a feature it shares with the Internet. This characteristic along with the availability of cheap 3D printing machines, has given rise to concern that 3D printing may facilitate mass IP infringement in a similar way to the Internet has done via easy data replicability and file sharing. 3D printing requires digital design files as an input, along with the raw materials, to create final objects. These digital design files may be found on, and downloaded from, Internet sites such as GitHub and Thingiverse. Another perspective on these possibilities brought by 3D printing is the idea that 3D printing may ‘democratise’ the creation of physical objects in the same way that the Internet has ‘democratised’ the creation of digital objects. However, there has been relatively little research on the extent to which these IP concerns/celebrations have been borne out in practice. The United Kingdom Intellectual Property Office (UK IPO) has been very interested and active on this point, having commissioned some empirical research a few years ago led by Professor Dinusha Mendis from Bournemouth University. This research, which examined online 3D printing design file sharing platforms and also surveyed various UK businesses, found that 3D printing on online sites was not yet a mass phenomenon, there was not widespread IP infringement at that point in time, and for the industry stakeholders surveys there was not a strong threat to their business models/IP from consumer/prosumer 3D printing. More recently the UK IPO commissioned further research, led by myself and involving an international and interdisciplinary team comprising Dr Thomas Birtchnell (University of Wollongong), Professor Thierry Rayna (Ecole Polytechnique/Birkbeck) and Professor Ludmila Striukova (SKEMA Business School/UCL). All of us have conducted prior research on 3D printing and innovation from our different disciplinary perspectives – I, as a legal scholar, wrote the first research monograph on 3D printing and legal issues in 2016, Socio-Legal Aspects of the 3D Printing Revolution (Palgrave). Our project recently came to an end and the Final Report was published by the UK IPO at the end of last year. Shortly before its publication I gave a seminar at CREATe about the project and our most legally relevant findings. Thanks to Ms Ally Farnhill, Dr Marta Iljadica and Dr Thomas Margoni for organising and hosting my talk. Here I outline some of the topics covered in the presentation and in the Final Report. projecting possible future scenarios for the relationship between 3D printing and IP. In conducting the work, we utilised legal methods and empirical social science methods in the form of qualitative horizon scanning workshops with experts in 3D printing and/or IP in six countries: the UK, France, Russia, India, China and Singapore. We chose these locations as representing a mix of developed (UK, France, Singapore) and emerging (Russia, India, China) economies and also to include perspectives from beyond North America/Western Europe from Russia, India, China and Singapore. The horizon scanning workshops in each location took place during 2017-2018, and the purpose of the workshops was to understand better the trajectory of 3D printing in each location and its potential future scenarios. From both the background research, legal analysis and horizon scanning workshops, we found various similarities and differences among the countries we investigated regrading the 3D printing/IP relationship and potential future scenarios. One main finding from a legal perspective is that 3D printing still does not seem to be posing a fundamental threat to IP in any of the countries we examined. In fact for industry players, IP may not be the most important legal regime for them: medical device regulation, for instance, may be a bigger issue than IP for some 3D printing players. Industry participants also made it clear to us that they did not view 3D printing alone, but as being cross-fertilised by other emerging technologies such as automation and blockchain. Some major differences we observed stemmed from political/country-specific phenomena, particularly in the developed jurisdictions which seemed to influence the implementation of 3D printing, particularly the idea of ‘onshoring’ industry which has been moved ‘offshore’. In addition, ageing populations were explicitly driving 3D printing implementations in Singapore, and implicitly in France. We found a large difference between the Asian countries and Russia on the one hand, and the UK and France on the other hand, regarding future scenarios for 3D printing and IP. Workshop participants from the Asian countries and Russia favoured more capitalist outlooks, with conventional IP usage, than participants from the UK and France who favoured more commons-based outlooks involving open innovation and sharing practices. We also considered that India was ‘one to watch’ – while 3D printing has not been as developed in terms of research and implementations compared to e.g. China, there is significant potential for it to ‘take off’ in India in the coming years. We produced various Recommendations, including for future research in this area. Most prominently, we did not find a pressing need for legal reform coming from the industry representatives who participated in our workshops. Nonetheless, we still recommend legal clarification of existing theoretical IP issues regarding 3D printing, on which the limited litigation on 3D printing so far has not provided any clarification. We also recommended that, despite Brexit, the UK should continue keeping track of any next steps in the EU arising from the European Parliament’s Resolution on 3D Printing, and consider aligning any revisions of its own laws with the outcome of this process where this meets domestic objectives. research on how different technologies including 3D printing are interacting with each other – rather than considerations of one particular technology by itself.